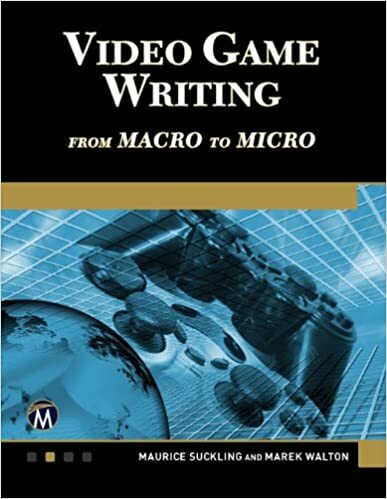 Contributions to Writing for Video Game Genres: From FPS to RPG, A.K.Peters (2009). Long-listed in the British Fantasy Society’s awards for the best single author anthology in 2006. 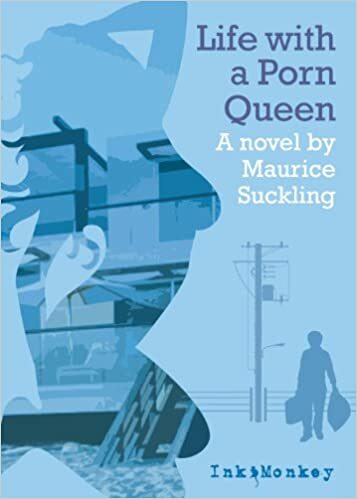 In Maurice Suckling’s debut collection slices of life react and interact against a consumerist background where expectations of what we are and where we should be going are frequently in conflict with reality. Combining traditional storytelling, vignettes, emails, text messages, and a cartoon, Suckling reinvents the short form for a society that has replaced its gods with technology, yet still prefers the permanency of love over a quick cyber fix. “A book of stories and visions filled with masterly touches, light and dark, funny and disturbing, classic and avant-garde. And it even comes with experiments which one could so easily imagine a Vonnegut character urging us to attempt (at one’s own risk I must advise!). Bravo!” – Matthew Costello, best-selling author of Missing Monday and Unidentified. It’s a pity that I only have a couple of hundred words to review this collection as such scant space really is not room enough to do this marvellous collection credit. 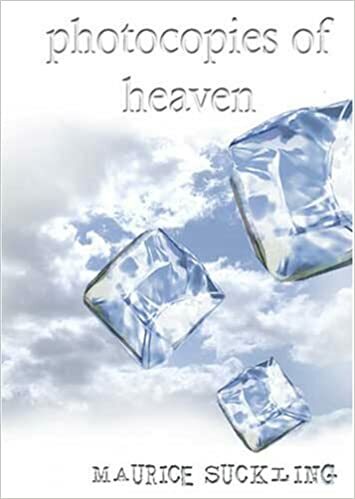 Photocopies of Heaven is a collection of original, previously unpublished fiction. The stories here are thematically diverse and written in a variety of styles including lists, text messages and comic strip. However, there are re-occurring themes and characters running through the fiction and these give the book a feeling of wholeness, a cohesion that gives this collection an added depth. The stories here are funny, touching, intelligent and moving. Suckling’s book deals with what it is to be human in an increasingly technocratic and diverse society. The prose here is beautifully written and when Suckling does experiment the story is never lost in the textual complexity. Maurice’s fiction is playful, slipping around genres and delivering stories that are fun to read without being frivolous. I genuinely mean it when I say this is easily one of the best fiction collections I have read this year. 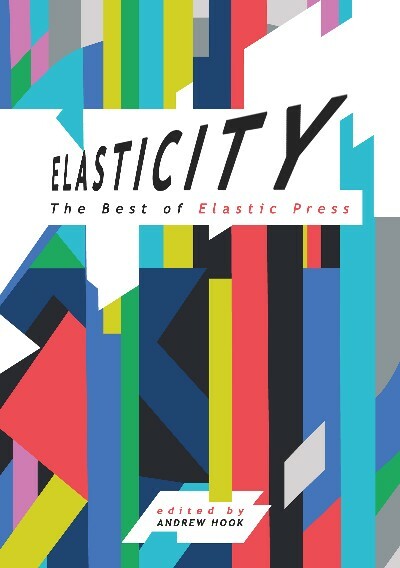 Elastic Press continue to astonish me with their brilliant output. – British Fantasy Society magazine Prism, reviewed by Jonathan Oliver. Photocopies of Heaven is a collection of stories which gives the sense of a carefully-crafted whole. The book is structured like an art exhibition, pieces of work selected by the author that hang together to achieve the best combined effect. Many of these stories in their varied and different forms link together. If you were looking for the mirror image to a novel this is what you might get—characters who wander in and out of each others stories like friends dropping in and out of each other’s houses. There is a sense of familiarity: these are people we know, people like us—their feelings and emotions and their lives are not unlike our own. Themes that recur include a continuing search for identity and to find meaning in life, a quest for spirituality and to find something to believe in. The objects we own become new household gods. There are stories within stories—as in ‘Nowhere And Other Destinations You Can Enjoy’ where a group of friends meets for a reunion—’the cars we passed at night all seemed lost but too on their own to ask for directions, like they’d just have to keep going till it got day, and only then could they work out where they were and how far they’d gone.’ The characters are waiting for a break in the weather, the snow that didn’t fall ten years ago—another turn and twist on an age old device. They tell each other stories that are and are not the stories of their lives against a background of casual mayhem—accidental damage to the cottage they are staying in that bears the marks of their visit a decade ago. ‘When you wash and dry and put away in teams you must never throw le creuset pans unless people are looking.’ This is one of several stories that explore the cyclical nature of life as déjà vu experience—we have been here before. There is a comic strip, ‘The Amazing Adventures of No One In Particular’, emails, stories in text. The collection opens with an urban myth that invites us into a world of shared experience. This is followed by ‘What Happened Next? ‘ A sad, funny and life enriching tale that tells the reader, this is going to be good. In these tales consumer brands are important—in a secular and uncertain age they are the markers we use to define who we are and to show signals to the tribe—they mask our fear of being alone. They are also as indicators of time passing—that life is closing in and options shutting down. This is exploited neatly in tales such as ‘A New Kitchen Is A Way To A New Life’, ‘Things You Can Buy’ and ’14 Everyday Brands’. There is much to enjoy in this book—three stories in particular stood out for me—’Identity Renting’, ‘Televisionism’—rejection of the miraculous in a world that is too cynical—and the wonderful ‘Infinite Things To Do With Microwaves’ which should definitely come with a don’t-try-this-at-home warning. I didn’t meet a tale I didn’t like. The style is direct and engaging and the whole quality of the book is inventive—a celebration of the short story form that showcases the author’s confidence and skill; storytelling for the twenty-first century with a human face. Photocopies Of Heaven is Suckling’s first collection, and pretty good it is too. The stories focus on the oddities of life, tiny events of significance only to those involved, basically just stuff that happens, but Suckling mostly manages to cast them in an intriguing, sometimes off-kilter manner. Photocopies is very much based in the present, characters have jobs they don’t particularly want, they have run-of-the-mill concerns about where their lives are going. There is a story called September 12th. I think I can also recall an i-pod or two. Some of the pieces are made up of e-mails and text messages. Occasionally their use seems a little pointless, especially in 160 chrctrs, which is written in that terrible language-mangling manner no doubt familiar to mobile phone owners everywhere (“swot happened 2 me 2day: new guy @ work sat @ pc nxt 2 me…”) Nothing seems to be gained from this style of telling though, it seems to be there just for the sake of it. Thankfully, most of the collection is free from such gimmicks. The characters are, on the whole, a likeable bunch. Some appear in several stories, sometimes narrating, sometimes as a minor character, sometimes just mentioned in passing. This adds, along with the subject matter, to the feeling of a cohesive whole, rather than merely a random collection. The writing is smooth, somewhat detached, not prone to fits of excessive emotion. The stories themselves are often quite funny, sometimes verging on the surreal or the fantastic, and occasionally unexpectedly moving. Often all at the same time. My personal favourites would have to be Identity Renting (for the rather odd central character), Televisionism, the story of a brief career in television magic shows, and The Spark Of Divinely Random Intervention which it is better to read than to have it reduced to a short plot synopsis. There is also the comic strip in six parts which reappears at intervals throughout the book, in which Darth Vader and Ghandi make a guest appearance.